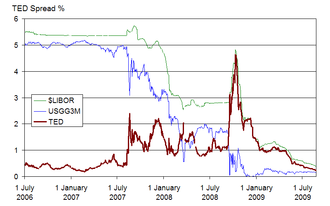 ^ "Formula One - 2008 Standings". Formula One. 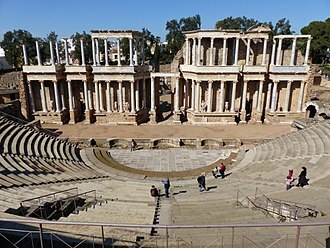 Retrieved 20 April 2019. A racing slick is a type of tire that has a smooth tread used mostly in auto racing. The first production slick tire was developed by M&H Tires in the early 1950s for use in drag racing, by eliminating any grooves cut into the tread, such tires provide the largest possible contact patch to the road, and maximize traction for any given tire dimension. Slick tires are not suitable for use on road vehicles. 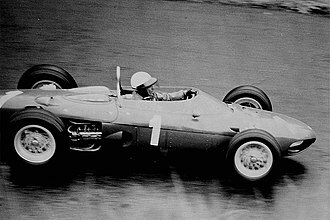 They are used in racing where competitors can choose different tires based on the weather conditions. Slick tires provide far more traction than grooved tires on dry roads, due to their greater contact area, wet roads severely diminish the traction because of aquaplaning due to water trapped between the tire contact area and the road surface. Grooved tires are designed to remove water from the area through the grooves. Since there is no pattern, slick tire tread does not deform much under load. The reduced deformation allows the tire to be constructed of softer compounds without excessive overheating and blistering and it is not uncommon for drivers in some auto sports to wear out multiple sets of tires during a single days driving. 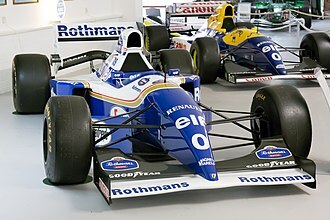 In Formula One, slick tires were not used from the 1998 to 2008 seasons, slick tires were reintroduced from the 2009 season. The first drag racing slick was developed by a company called M&H Tires in the early 1950s and it was the only company in the world that produced and sold original drag racing tires. Drag racing slicks vary in size, from slicks used on motorcycles to very wide ones used on Top Fuel dragsters, open wheel dragsters are freed from any such constraint, and can go to enormous tire sizes. Some use very low pressures to maximize the contact area. Inner tubes are used, to ensure that the air does not suddenly leak catastrophically as the tire deforms under the stress of launching. As speed builds, the force generated by the tires rotation unwraps the sidewall. Additionally, it causes the tires to expand radially, increasing their diameter and effectively creating a taller gear ratio, the development in cheater slick technology has affected the development of tires for racing series other than drag racing as well. 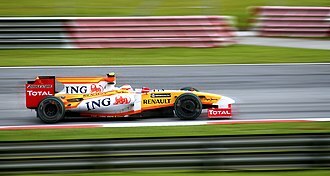 Super Aguri F1 was a Formula One team that competed from 2006 to 2008. The team, founded by former F1 driver Aguri Suzuki, was based in Tokyo, the cars were referred to as Super Aguri Hondas, with the team functioning to some degree as an unofficial Honda B-team. In Japan, public pressure persuaded Honda to help its former driver Takuma Sato to continue to compete in Formula One and this was influential in the creation of Super Aguris F1 project and the engine supply from Super Aguris parent company Honda. After participating in the championship for 2 years and 4 months, throughout the teams time in the sport, it scored 4 points. All of these were scored by Sato, and all were in the 2007 season, talks to start the team began in February 2005, but it was not until September that plans started to take shape. 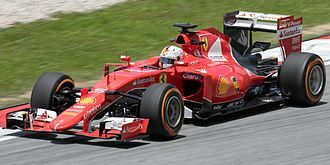 The team registered its intention to enter the Formula One World Championship to the FIA, Formula Ones governing body, the team re-applied for entry in 2006, and continued to prepare cars for the upcoming season. 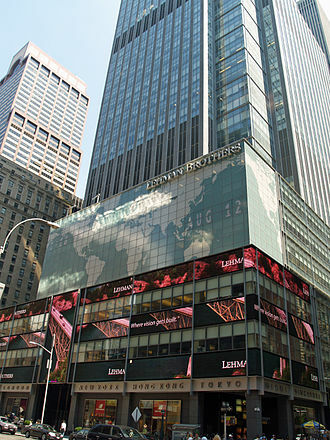 Having missed the registration, the team needed to convince the existing ten teams to unanimously agree to its entry. 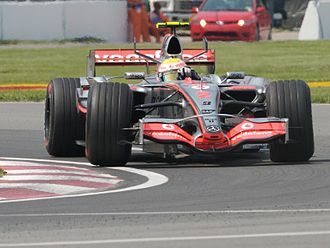 In 2006, the cars were powered by Honda engines, the chassis, SA05, was based on the 2002 Arrows A23, bought from ex-Minardi principal Paul Stoddart who purchased them when the Arrows team went into receivership. 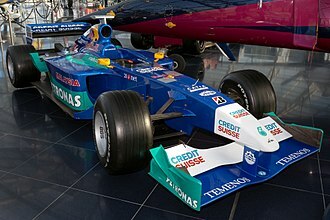 The team had announced plans to produce a new in-house chassis on in the 2006 season, possibly for the European races, the team updated their older chassis to become the SA06 – a change which was visible from the German Grand Prix at Hockenheim, onwards. Takuma Sato and Yuji Ide were the race drivers for the team in the 2006 season. The team made it onto the grid for the start of the season, in its debut race at Bahrain Sato successfully completed the Grand Prix while Ide retired on lap 35 with a mechanical failure and after nearly running over his pit crew. Suzuki deemed this race to be a good test for the team as the car had only done a maximum of 10 laps during pre-season testing, the teams second race was little better, with again only Sato finishing the race. Super Aguris third race, the 2006 Australian Grand Prix, saw significant improvement, Ide said This is the first time that both Taku and I have finished a race, so I am happy about that. For the European Grand Prix and Montagny swapped roles within the team, at the request of the FIA and this was mostly due to a collision between him and Midland driver Christijan Albers at the San Marino GP. 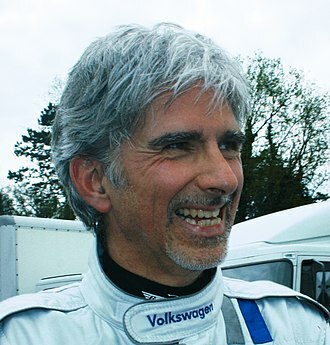 As of 10 May 2006 the FIA Permit Office revoked Ides Super Licence, Montagny raced until and including the French Grand Prix, and on 8 June 2006 Sakon Yamamoto became Super Aguris third driver. 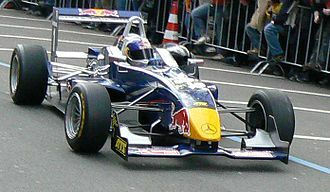 Montagny and Yamamoto swapped roles for the 2006 German Grand Prix, when the updated car was first raced in the German Grand Prix, it managed to impress, with decent qualifying positions, although failing to finish the race. The teams cited the fact that the Concorde Agreement mandated a car may not use any parts designed or constructed by another manufacturer of Formula One cars, Super Aguri seemed to be in violation about this. 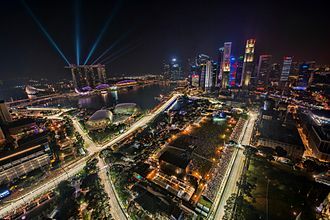 The Marina Bay Street Circuit is a street circuit around Singapores Marina Bay and is the venue for the Singapore Grand Prix. The track is 5.065 km long in a location similar in style to the Circuit de Monaco. The circuit is designed by KBR, Inc. a modification of the one first proposed by Hermann Tilke. The circuit has FIA Grade 1 license, the circuit holds a unique record of having safety car appearance in every race to date. A total of 14 safety car deployments in nine races, on the day of confirmation of the Singapore Grand Prix in the 2008 Formula One season, a routemap was published. The pit area of the circuit is located in an empty plot of land off Republic Boulevard, a temporary track leads from the pit area and under the Benjamin Sheares Bridge to Republic Boulevard and turns onto Raffles Boulevard. It proceeds along Nicoll Highway, Stamford Road and Saint Andrews Road around the Padang, the track goes onto the Anderson Bridge, past the Fullerton Hotel and make a tight left turn to Esplanade Drive beside the Merlion Park. It joins Raffles Avenue and cut right after the Esplanade to the front of The Float at Marina Bay, the track layout is unique in that in between turns 18 and 19, the cars race underneath a section of grandstand of the Floating Platform. Several drivers, including Sébastien Bourdais and Fernando Alonso, expressed their concern about the high, ferraris Felipe Massa compared the kerbs akin to little tortoises that would wreck the car if you get something wrong. The drivers were worried that hitting the bumps could cause damage or even damage a tub. 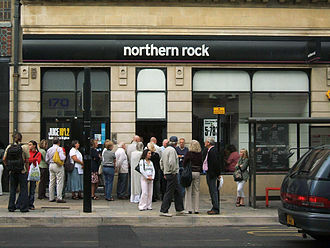 They raised concerns that the bumps would pitch them into the wall on the outside of the corner, the kerbs were further reduced in height for Saturday and Sundays night race. In 2013, ahead of the race, the chicane was removed and replaced with a left turn, the problem was deemed to be primarily due to the speed differential of those entering the pits and those continuing on another lap and their sharing of the same race line. The controversial pit entry at Singapore was modified ahead of Saturdays official Qualifying round by extending the pit entry line away from the pits and this change compelled drivers to commit to the pit entry earlier, providing additional warning to those following behind. Nelson Ângelo Tamsma Piquet Souto Maior, known as Nelson Piquet Junior or Nelsinho Piquet, is a Brazilian stock car racing driver and former Formula One driver. 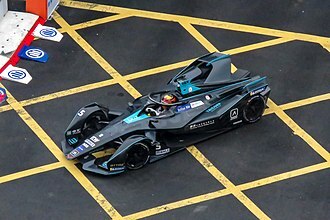 He currently competes in Formula E where he was champion in the 2014–15, the resulting scandal which became one of the most significant in motor sport history would ultimately see a permanent end to Piquet Juniors career in Formula 1. Piquet finished runner-up in the 2007 GP2 Series, fourth in the 2014 Global Rallycross Championship, Piquet is the son of three-time Formula One world champion Nelson Piquet, one of Brazils most successful F1 drivers. Piquets parents separated soon after he was born, and he lived in Monaco with his Dutch mother, Sylvia Tamsma, until he was eight years old and he moved to live in Brazil with his father. My mother wanted me to get to know my father, she wanted me to know Brazil and the language, Piquet has two full-sisters and Julia, and four half-brothers, Laszlo and Marco. He lived in Brasília and attended the American School of Brasília until he was 16 years old, Piquets racing career started in 1993 in Brazilian karting, where he would stay until 2001 when he moved to Formula Three Sudamericana. 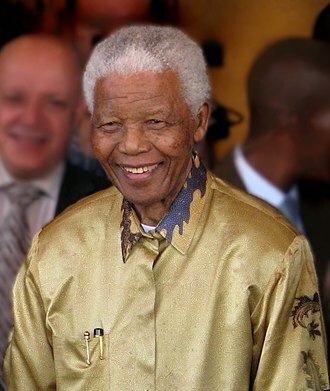 His fathers wealth enabled him to race for his own team and he raced in part of the 2001 season there, staying for 2002 winning the championship with four races to go. In 2002 he raced one race of Brazilian Formula Renault, in 2003, Piquet moved to the UK where he joined the British Formula 3 Championship and formed the Piquet Sports team. 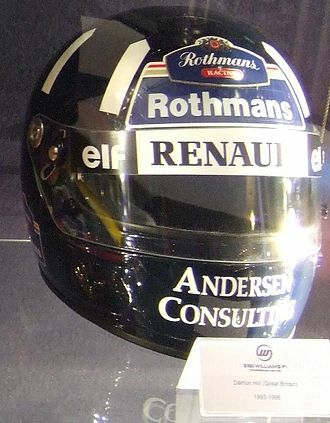 He went on to finish the championship in 3rd place with six wins, five podiums, a test with the Williams Formula One team followed. 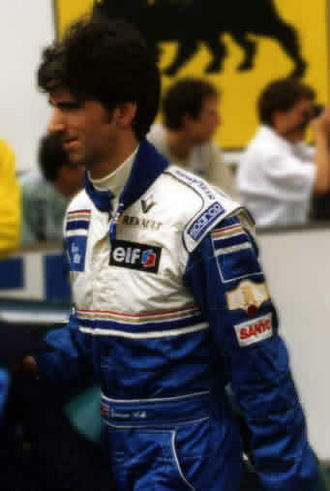 In 2004, Piquet won the British Formula 3 Championship and he became the youngest driver to have ever won the championship at 19 years and 2 months. He did further running for Williams and he drove for the HiTech/Piquet Sports in the GP2 Series, winning his first race at Spa-Francorchamps in Belgium, and tested for the BAR-Honda Formula One team. 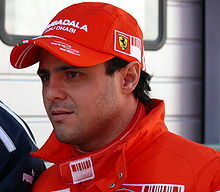 In 2006, Piquet gained second place in the championship to British driver Lewis Hamilton in his year of GP2. During the 2007 season he was the official test and reserve driver for the Renault Formula One team, the 2008 season saw Piquet promoted to the Renault Formula One race team to drive alongside returning double World Champion Fernando Alonso. 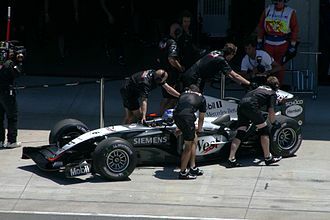 The 2008 Australian Grand Prix was a Formula One motor race held on 16 March 2008 at the Melbourne Grand Prix Circuit, Australia. 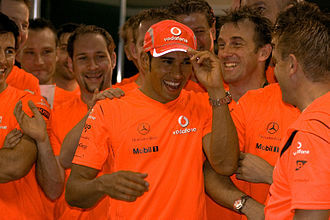 It was the first race of the 2008 Formula One season, the 58 lap race was won by Lewis Hamilton for the McLaren team after starting from pole position. 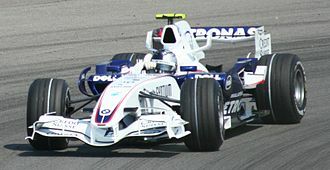 Nick Heidfeld finished second in a BMW Sauber car, with Nico Rosberg third in a Williams, the Grand Prix was contested by 22 drivers, in 11 teams of two. 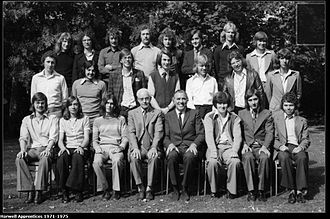 The teams, known as constructors, were Ferrari, McLaren-Mercedes, Honda, Force India, BMW Sauber, Red Bull Racing, Toro Rosso and Super Aguri. 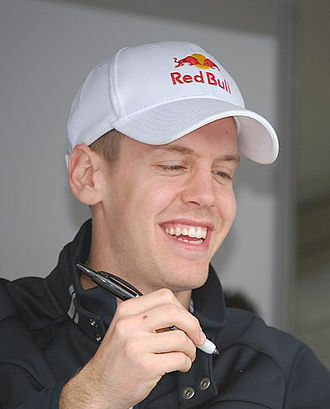 Heading into the new season, several teams opted to keep the same line-up as they had in 2007, however some teams changed drivers for 2008. One of the driver changes involved McLaren driver Fernando Alonso. 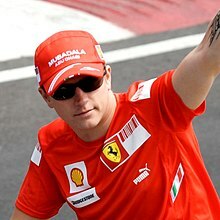 Defending Drivers Champion Kimi Räikkönen stayed at Ferrari after his title-winning campaign, as in 2007, eleven teams took to the grid for the start of the new season. The final mass test session before the new season took place at the Circuit de Catalunya in Montmeló, all the teams, with the exception of Super Aguri attended this three-day test which was affected by rain on the first day. 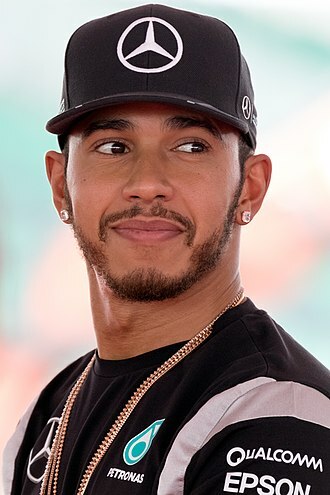 On day one, Lewis Hamilton of McLaren was fastest having recorded a lap of 1,22.276, followed closely by the Ferraris of Räikkönen, Hamilton continued to top the charts on the second day, with new teammate, Kovalainen second. Räikkönen was third on a 1,21.722, having joined at the track by his teammate Felipe Massa. Massas best lap of 1,22.513 was only enough for fifth place. On the final day, the Toyota of Jarno Trulli topped the timesheets with the fastest lap of the test, second was the Red Bull mount of David Coulthard, having missed the previous days running due to requiring treatment on a trapped nerve. Three practice sessions were held before the race, the first was held on Friday morning, both sessions lasted 1 hour and 30 minutes with weather conditions dry throughout. The third session was held on Saturday morning and lasted an hour, Heikki Kovalainen completed the top four in the McLaren, with Mark Webber in the Red Bull and Fernando Alonso in the Renault rounding out the top six positions, two seconds off the pace. The Singapore Formula 1 Pit Building before the 2014 Singapore Grand Prix. The 'Singapore Sling' chicane (pictured in 2008) was removed before the 2013 race. 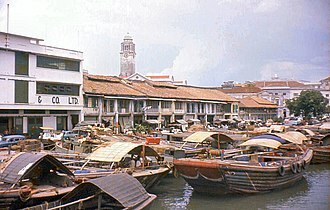 Marina Bay, with Marina Centre in the background. A night game at Fenway Park, a U.S. baseball park in Boston, Massachusetts. Ligier JS P217 LMP2 of 2018 12 Hours of Sebring at night. The backstretch of Daytona at night. 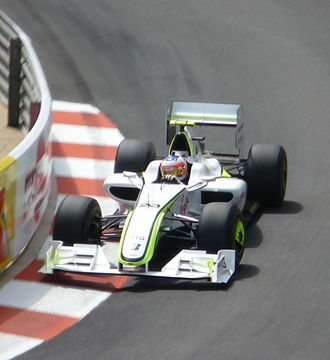 Piquet scored the first points of his F1 career at the 2008 French Grand Prix. Hill's teammate, Jacques Villeneuve (pictured in 2002), finished as runner-up in only his first year of F1 participation. 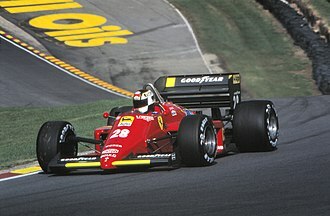 Defending double world champion Michael Schumacher finished third with Scuderia Ferrari. Pirelli ultra soft slick tyres seen at the 2016 Austrian Grand Prix. The tyre wear is clearly visible.